The Townsville region is one of Queensland’s most active industrial areas, mainly due to its direct access to a deep sea port. Development proposals for the region prompted the need for an airshed management system to assist the Queensland Environmental Protection Agency (EPA) with air quality management, planning and the assessment of development applications. 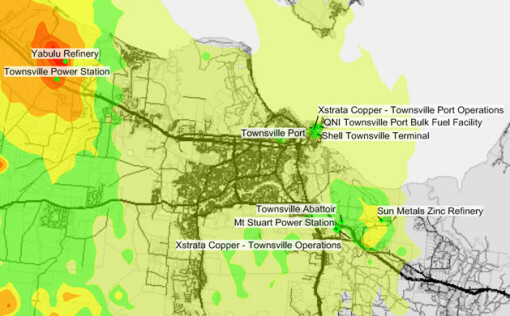 In 2005, the EPA commissioned Katestone to develop the Townsville Airshed Management System (TAMS). 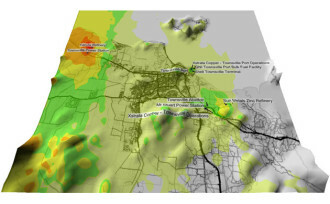 TAMS was configured based on a dispersion modelling study that incorporated site-specific meteorology, local geography, and existing natural and anthropogenic sources of air emissions. TAMS was developed following Katestone’s development of an innovative airshed management system for Gladstone in Queensland (GAMS). Katestone also developed similar systems for the Brisbane port area in Queensland and the Newcastle airshed in New South Wales. The TAPM system upgrade was undertaken by Katestone in February 2015. Katestone remains the custodian of TAMS and undertakes industrial development scenario modelling for government as required. TAMS also provides a basis for industry to understand its impact on air quality and manage emissions.